“I hired the Mountain Trike for 5 days but if I’m being honest after day one I knew this was going to change my life dramatically." Rick is a former Infantry Platoon Sergeant from the Duke of Lancaster’s Regiment and after losing both his legs to an IED in Afghanistan back in 2010 mobility has been a massive issue for him. Rick has a very good light weight wheelchair which is great on smooth surfaces but anything even slightly uneven or soft becomes impossible to cross. Rick lives in Blackpool and hadn’t been on the beach for 5 years - that is until recently because his search for something manually powered and able to negotiate off road surfaces has come to an end. Rick came across the Mountain Trike purely by accident online and was instantly amazed. After a lot more research Rick decided he simply had to have a go and test it out for himself. The Mountain Trike Company offer a hire option over a variety of periods, so Rick got on the phone and only had to wait a few days before he was able to test ride it. 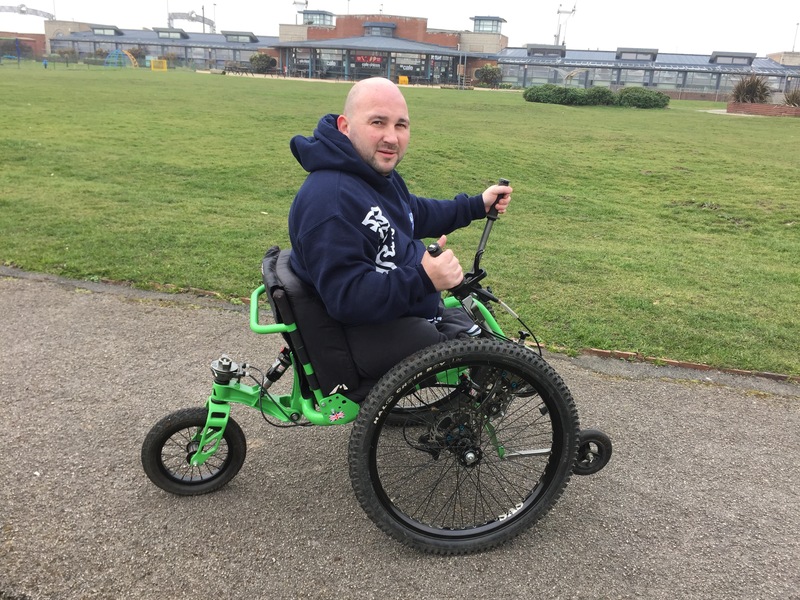 Ricks run a Military charity called A Soldiers Journey and has already put in place buying two Mountain Trikes for other injured veterans who he believes will benefit just as much as him.